Legendary guitarists like Randy Roads of Ozzy Osborne played V-shaped guitars; their extreme edge appearance brings the meaning ‘axe,’ which explains why so many metal guitarists prefer them. They’re unique looking, give a tight heavy sound and just look metal. 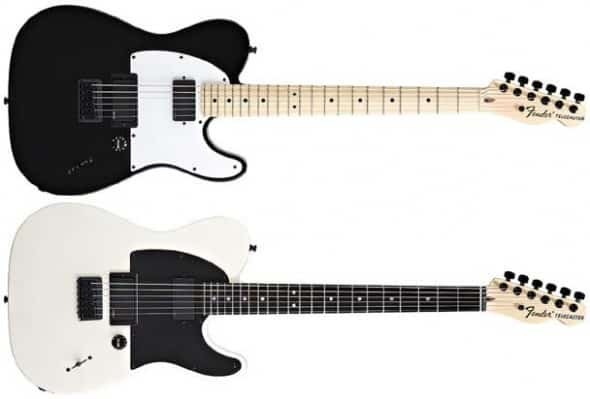 The Badwater Jacknife guitar is yet another radical—V-shaped—guitar, but unlike many others, is geared toward guitarists on a budget, while giving more features than other economy V-shaped guitars. Most metal guitarists will enjoy this guitar’s unique, vintage-style design and groovy sound. The AXL Badwater Jacknife, priced at an affordable $359, features a solid alder body like many other guitars in this price range. Alder is considered to provide a broad spectrum of tone, tight swirling grain, and in this case, there is no exception. The Jacknife’s body features a uniquely distressed; “worn in, not worn out,” beatified look. The Jacknife comes standard with two EMG-designed over wound P-90 pickups that provide maximum output and power that today’s rock and metal guitarists demand. 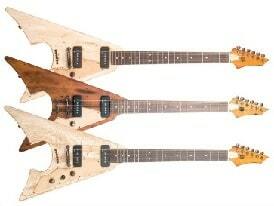 Obviously, the guitar will not out-perform in every aspect of a more expensive flying V guitar, but the Jacknife holds its own against other guitars in this price range. If you love the vintage-guitar look, then you’ll appreciate the Jacknife’s design, as it comes in three different Badwater-vintage style designs (black Mayhem and red Bloodsport series). All Jacknife guitars come with antiqued hardware, antiqued cream web pickguard, giving the guitar a very mature look, perfect for the vintage guitar enthusiast. 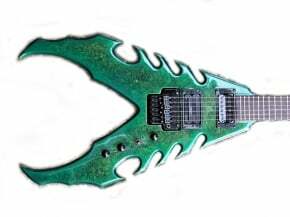 Even though the Jacknife is aimed at hard rock and metal guitarists, it can also give a sweet modern rock tone. So if you doubt the Jacknife’s flexibility and ability to handle other sounds, rest assured, with the proper tweaking, the guitar delivers… with style. Given all of the features and the quality hardware in the guitar, it is quite surprising that AXL Guitars kept this guitar in such a small price range, which is all the more reason metal guitarists’ should take advantage of this sweet deal while the price is so low.